To keep prices affordable, interior pages are printed in black and white, unless color is requested at an additional charge. To preview our products, download our E-Packet PDF containing sample pages from each level. 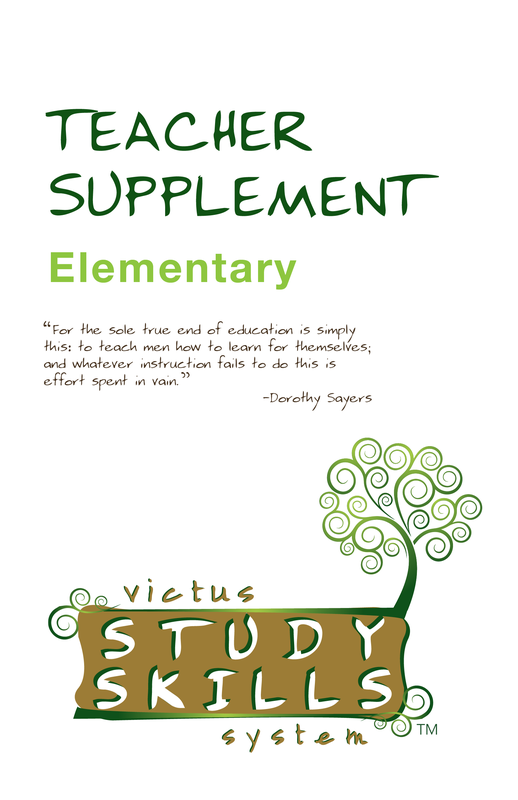 The Teacher Edition of the Victus Study Skills System offers clear, concise lessons for each of the three foundational cornerstones students will learn. Although the basics of the course can be taught in five one-hour sessions, reinforcement and integration into actual class material will increase the amount of time spent. Each of the ten lessons includes guidance on the purpose of the lesson, the preparation for the introduction of the material, and the procedure used in teaching the lesson. *When you order the Teacher Edition, you will be taken to the IEW.com website for purchase and shipping. accompanies the Elementary Student Workbook. It leads the teacher through the ten lessons giving specific, easy-to-follow steps. 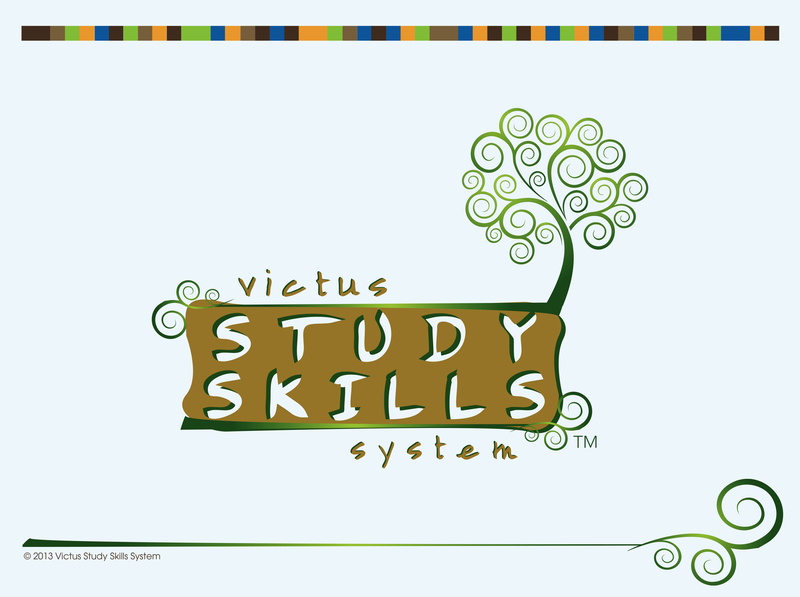 cornerstones of learning and the ten lessons of the Victus Study Skills System that can be applied immediately. It is designed to be teacher-led. This Power Point is used by teachers with larger groups and classes. It provides a visual for completion of the Elementary Student Workbook pages. 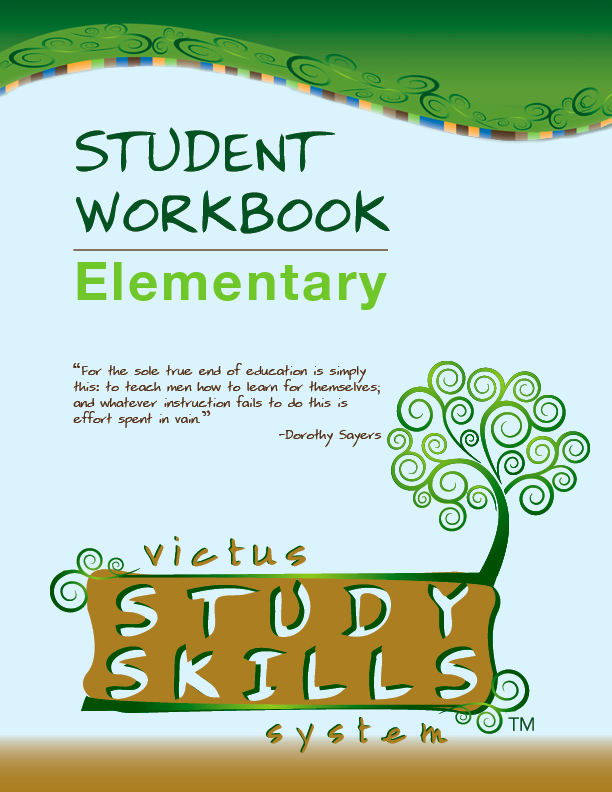 The Student DIY Workbook is a “do it yourself” workbook for an independent learner in Level 2 or 3. For situations in which there is no teacher to teach the lessons, students can work though this workbook at their own pace. Perfect for summer reinforcement, or study halls, or home schoolers needing worthwhile independent work, this workbook is designed for student use and learning. The Student Planner is our unique product that provides a method of daily reinforcement in setting priorities and arranging time around them. Customization for schools and large groups is available. The Planner is designed to be used by students in Levels 2, 3 and 4. All international, bulk (over $500) and rates other than media can be invoiced separately for any additional shipping & handling charges. See domestic shipping and handling costs.